I wanted to share these awesome pillows I made this weekend. 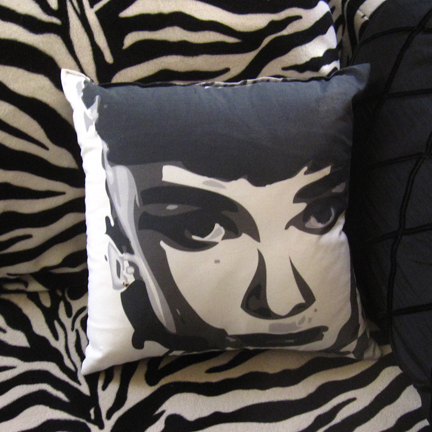 I created artwork of Marilyn Monroe and Audrey Hepburn and had them printed on fabric. 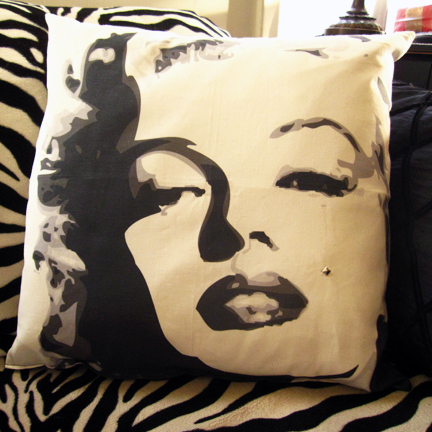 There are some great places to ANYTHING printed on fabric; photos, artwork, text – as long as you can get it digital. Karmakraft.com has the best fabric selection, Spoonflower.com has great organic cotton, and fabricondemand.com has $5 shipping. I’ve tried them all and everytime my prints came out perfect. I bought some 16×16 pillow inserts, sewed my fabric together, inserted the pillows, sewed it all up and voila super chic decorative “hollywood” pillows. 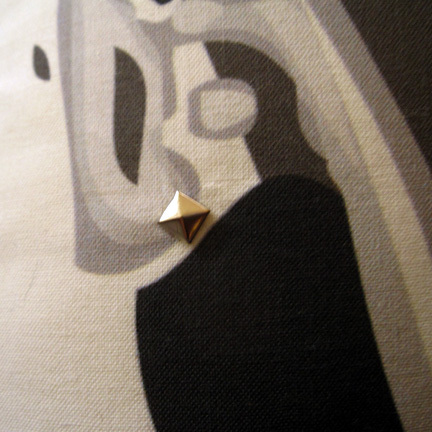 Oh and I added studs for their earrings and marilyn’s beauty mark. 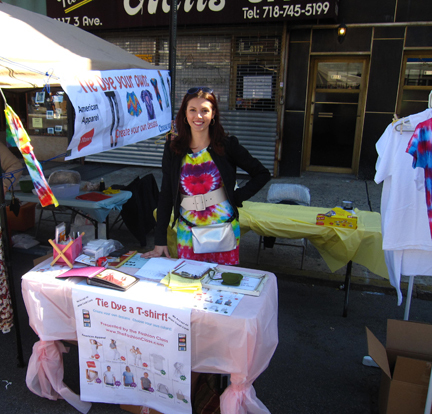 We had a blast this October during Bay Ridge’s Third Avenue Festival. 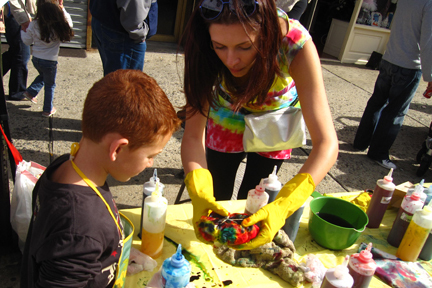 Our booth was to promote the Fashion Class and people could choose between t-shirts, scarves, leggings, yoga pants, back packs, totes, and much more to tie dye! 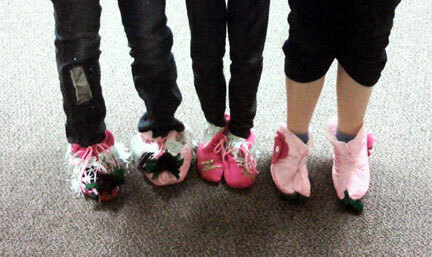 Our Tie Dye "barkers" show off some of my fabulous creations! 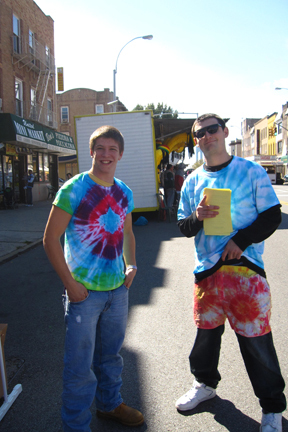 Overall the event went well, I’m now a tie-dye expert, and I look forward to next year! 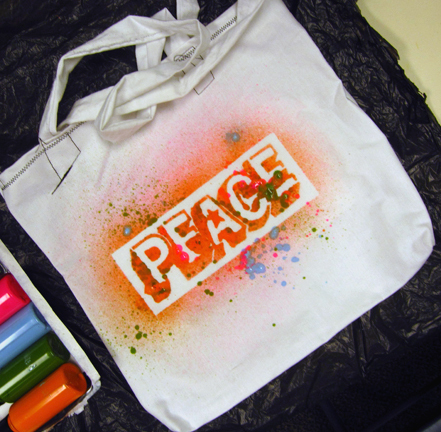 We’ve been creating and decorating tote bags! Our first project of the Fall semester was to sew and design a tote bag. Students were each given a yard of canvas fabric. They decided what kind of bag they wanted and what size. 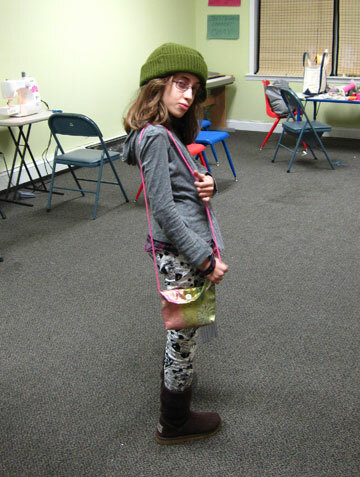 Some created totes, and some created trendier long strap bags. 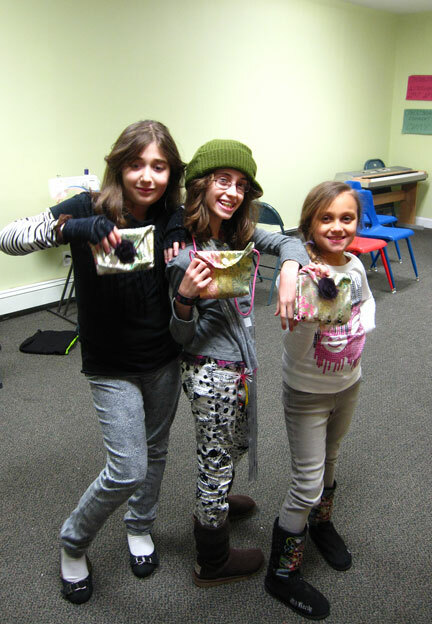 After totes were sewn, the corners were mitered and straps were attached the students got to decorate their bags with a Bedazzler, lace, ribbon, and spray paint! Backstage at the Ruffian fashion show!